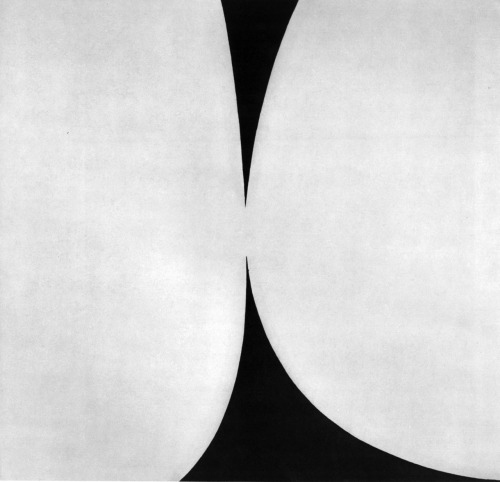 “Rebound” was the first Ellsworth Kelly painting I ever saw, at the fabulous, life-changing NGV exhibition Two Decades of American Painting in 1967. I was 16 but I still remember the encounter. 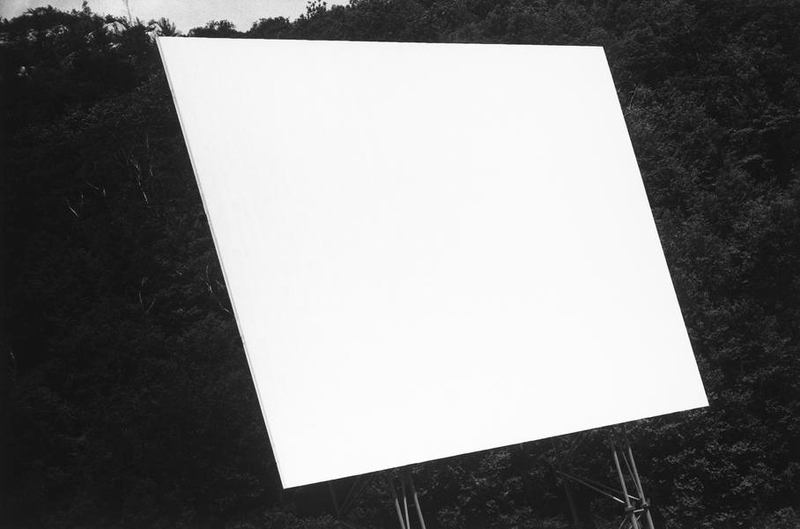 Ellsworth Kelly was an important abstract painter creating stark geometric forms in pure colours. 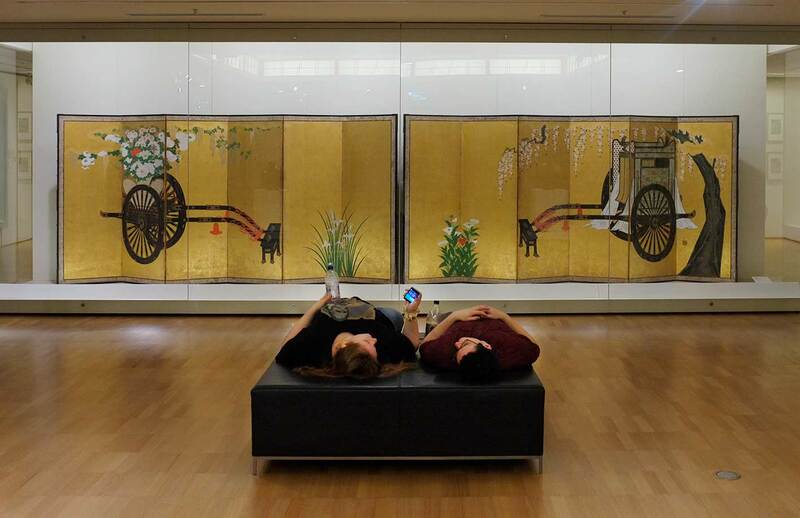 He often played with figure/ground relationships using simple opposing shapes, as in the painting above. 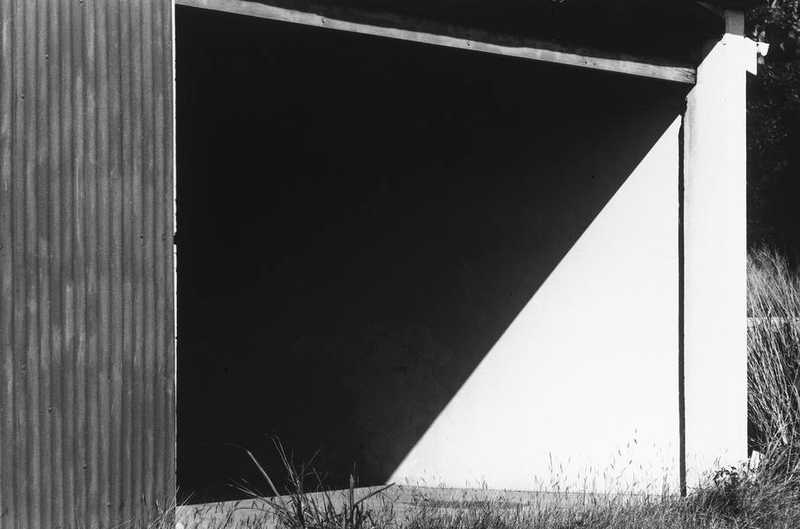 Despite being an abstract artist, Kelly used photography, the most figurative medium, for research. 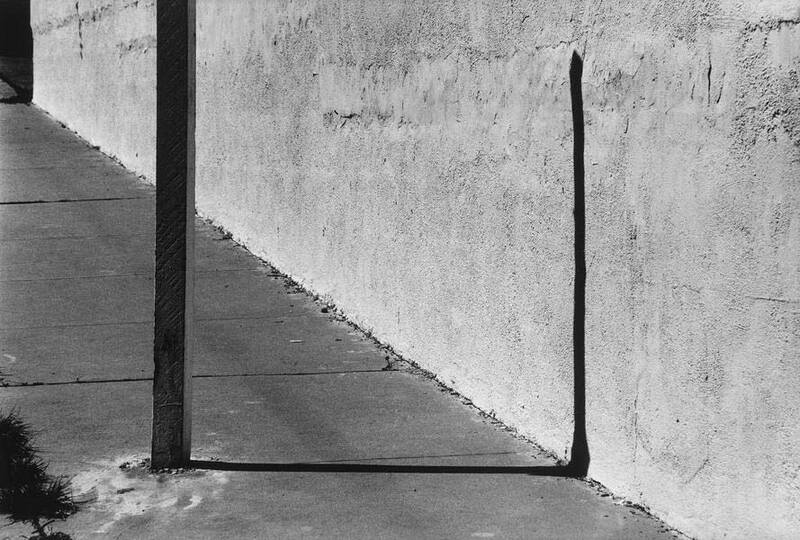 He started taking photos in 1950 with a borrowed Leica and now New York’s Mathew Marks Gallery is showing his photographs made up until 1982. The show was finalised just before Kelly died last year at 92. 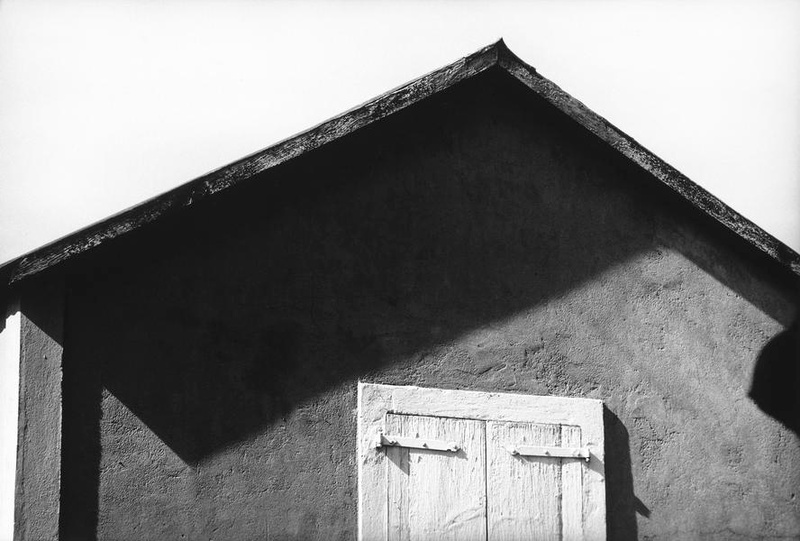 You can see how his artistic vision is continuous between painting and photography, he captures the same sort of shapes and depth illusions as in his paintings..
You can see the collection of Ellsworth Kelly’s black & white photographs at the Mathew Marks Gallery website. Ebay is selling a rare Chamonix 16×20 camera, the second largest film format. 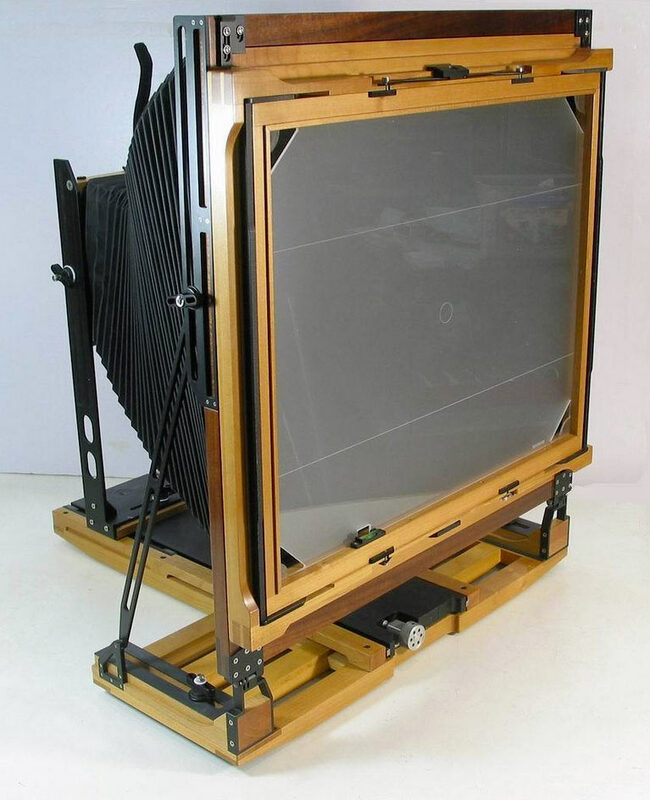 16 x 20 inches, or 40x 50cm, is the film size for this spectacular camera and makes it a true giant with an area four times larger than the 10×8 format. Each negative has an area of 320 square inches – compare that to the 1.5 square inches of a 35mm negative. The film can be special-ordered once a year from Ilford. 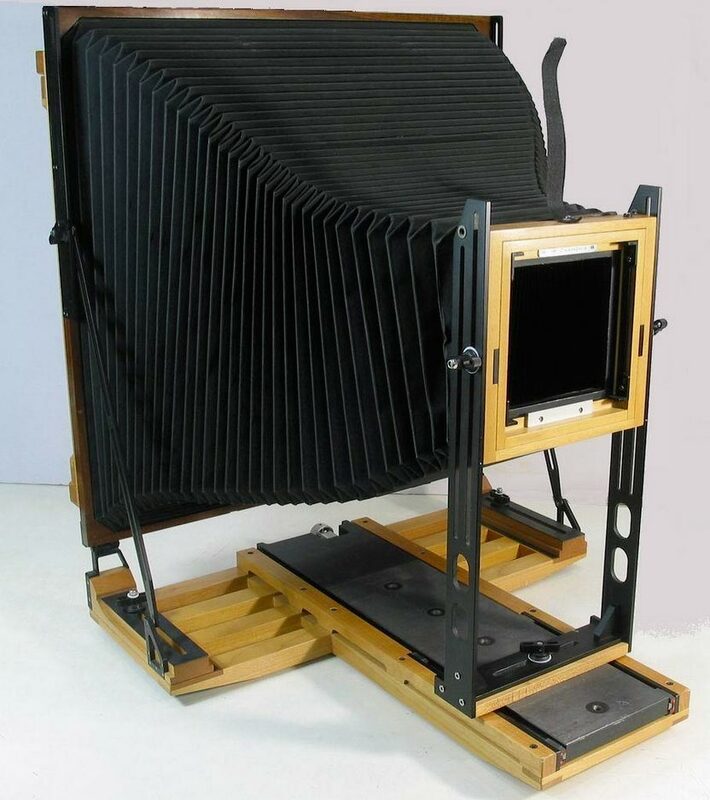 16×20 inches was the size of the wet-plate glass emulsions used by the US survey photographers in the 1860s, Timothy O’Sullivan and others, so the camera definitely has a romance built into it. Chamonix is a camera workshop in China, making specialized hand-crafted film cameras in large format sizes. The name is for a mountain area in alpine France alongside Mont Blanc, Europe’s highest mountain. The cameras are largely pitched at the landscape market. 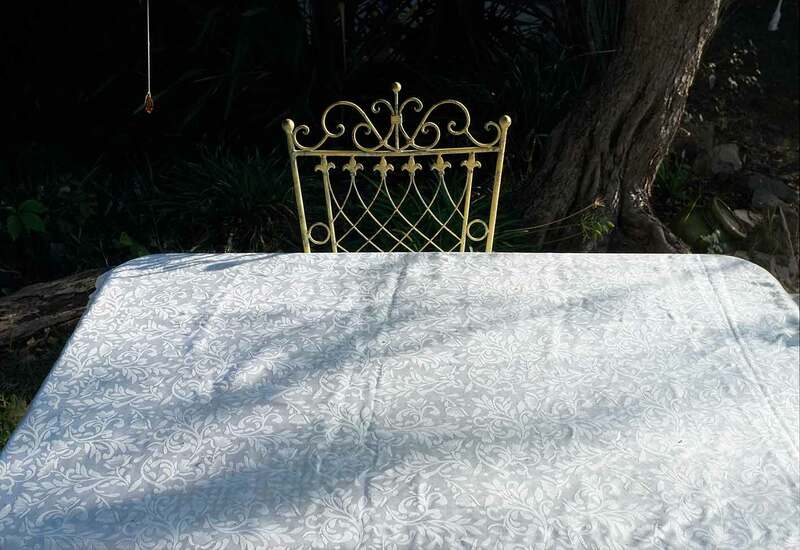 We are a small workshop of eight experienced craftsmen and we are located in Haining city of Zhejiang Province, China. The company started a few years ago by a Chinese photographer and mountaineer. 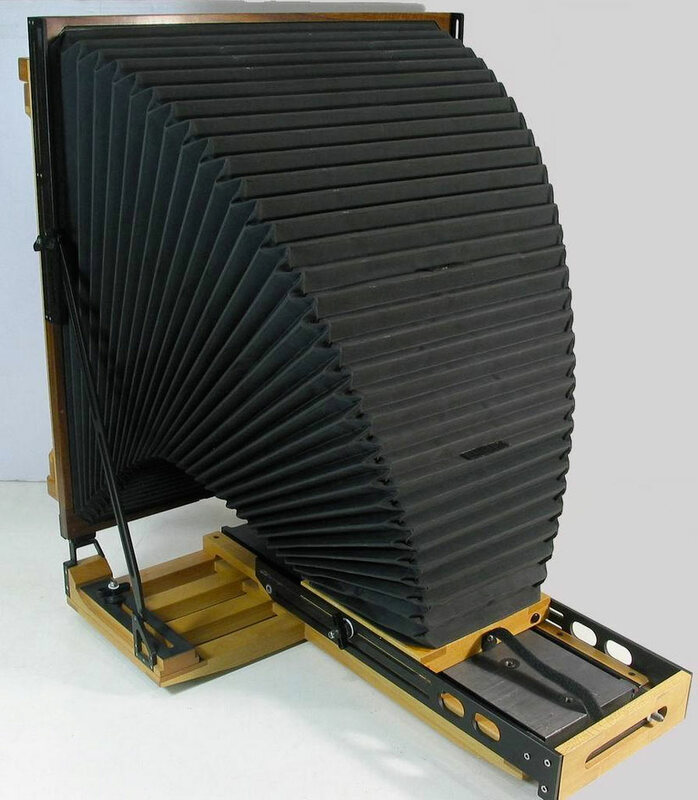 The model for sale on ebay is a fold-up field camera made from timber and carbon fibre and weighs over 15kg or 34 pounds. That’s without lens, film holders and tripod, so if you do decide to buy this for your mountain photography, you might want to invest in a mule as well. What was Kodachrome? Why was it so loved? When production and processing ceased in 2010 it was a front page story. 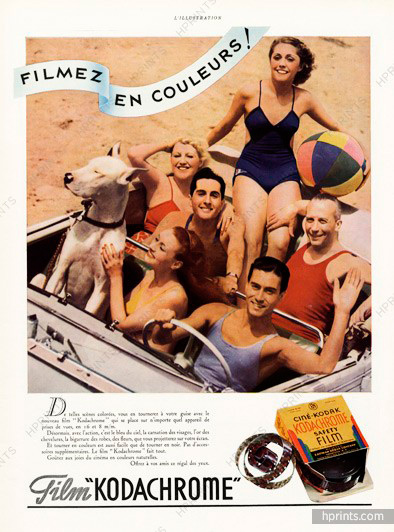 When Kodachrome was released on the market in 1935 it became the first colour film to succeed in the mass market, establishing colour photography as a viable option for amateurs and professionals alike. Before Kodachrome, making photographs in colour was an arcane science mastered by only a few. The Colour-Carbro process required colour separations to be made first and then printed sequentially in perfect registration on the receiving paper. It was hard, slow and very expensive. When Kodachrome arrived in 1936 it brought simplicity to colour photography: you shot the film and Kodak processed it, and that was it. A box of colour slides was posted to you a week later and the colours were realistic and beautiful. The actual invention of Kodachrome is a story in itself. The inventors were two young American musicians, Leopold Godowsky Jr. and Leopold Mannes. They became known as God and Man. Both were high achievers. Godowsky studied music at UCLA and became a violinist with the San Francisco Symphony. Mannes studied piano at Harvard and earned a Pulitzer Scholarship and a Guggenheim fellowship, playing professional piano – all this while studying physics at Harvard. They came from high achieving families. 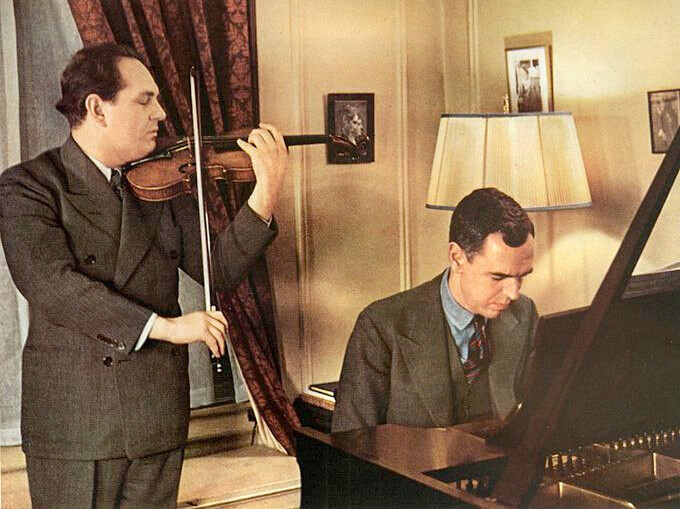 Godowsky’s father was the most famous concert pianist of his day and Mannes also came from a renowned classical music family. All this makes it so odd that in their spare time they were inventing colour film. In 1917 they had seen a crude colour film at a cinema and thought they could do better. They tinkered for years with their process until family connections help them get financing for their research. Eventually Kodak noticed and invited them to work at Rochester, Kodak’s HQ. 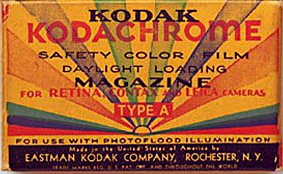 Kodachrome film was coated with three layers of ordinary black-and-white silver halide gelatin emulsion, but each layer was made sensitive to only one-third of the spectrum of colors—in essence, to red, green or blue. Special processing chemistry and procedures caused complimentary-colored cyan, magenta or yellow dye images to be generated in these layers as the black-and-white silver images were developed. After they had served their purpose, the silver images were chemically removed, so that the completed chromogenic film consisted solely of the three layers of dye images suspended in gelatin. 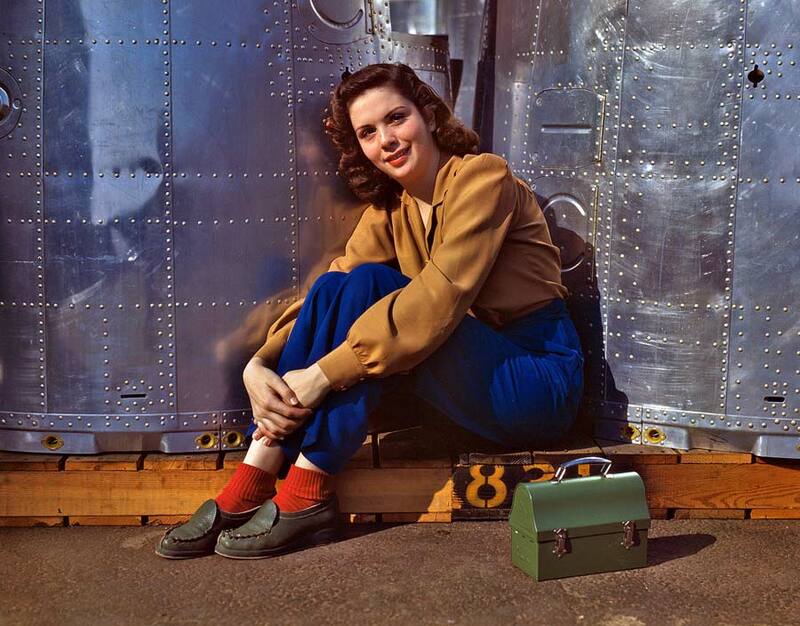 Kodachrome gave spectacular colour and great longevity. I have slides a half century old and there’s no fading, while other brands have decayed badly. The crisp, vivid palette was very appealing and the slides were also very sharp. Kodachrome was available in 25 ISO which became the preferred choice for landscape and geographic photographers for its fine detail – enlargements from 35mm were no problem. Other speeds and size formats were also available for different purpose, including 5×4 and 10×8 – imagine! One eccentricity of the film was its weird processing. Because of the special emulsion only a handful of labs worldwide could accomplish the difficult process. In the 1940s, Kodak brought the Ektachrome range of transparency films which had a much simpler developing process. This continues, although it’s running out of steam in the face of digital photography’s superior colour control. What happened to God and Man? After inventing Kodachrome, Mannes returned to music, becoming a concert pianist and composer. Godowsky pursued a career as a concert violinist with the Los Angeles and San Francisco Symphonies while also becoming a painter and sculptor. Somehow he found the time to get married – to George Gershwin’s sister! I told you they were high achievers. This odd-looking creature is a stereo camera, adapted from the popular Exakta SLR. This Communist-bloc company produced cameras in Dresden from the 1930s until the reunification of Germany in the 1990s. 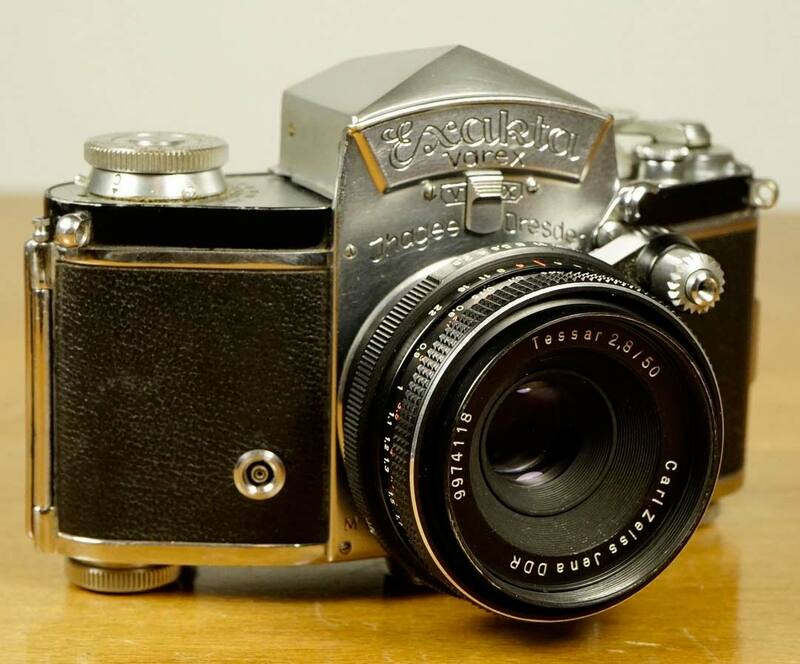 The chunky, techno styling of the Exakta started before World War 2 when it was apparently the first 35mm SLR. 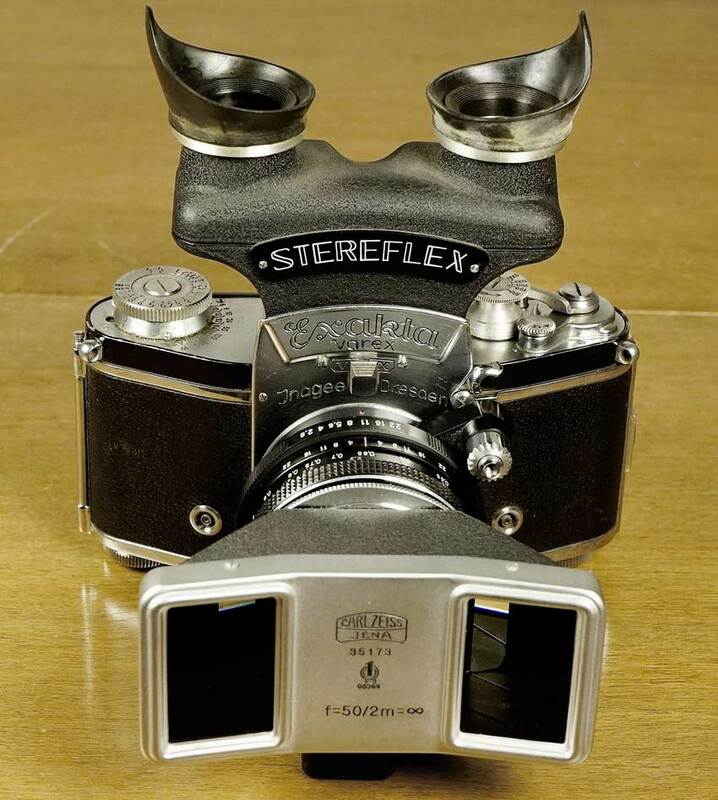 This c1955 stereo camera, the Stereflex, continues this design tradition. The front attachment forms two separate images on the 35mm film, and the eyepieces at the top allow the photographer to see a 3D image. It’s perfect for one of those wealthy camera collectors out there. You can see the ebay sale here.